October 23rd is an important date as it presents a gateway for the Sun to incorporate the knowledge from its fall in Libra and take it further, to the sign of Scorpio. This date seems to carry the ultimate understanding of balance and could be demanding for those born at this time as they never live a common life story in their attempts to reach the secret they’ve been sent here to find. All fortunes seem to be hidden in this planetary row, but they won’t be reachable for someone born on October 23rd until they find their grounding and a way to deal with their wound, heal and regenerate. The sense of purpose is obvious, and their mind is rich with information they sometimes can’t metabolize as quickly as they’d like to. Overthinking could distance them from the material world and creation, as they get dispersed on too many issues instead of keeping their focus on one thing at a time. They need a lot of movement, walking, dancing and running, to cleanse their mind of obsolete information and regain order in the way they perceive the world. By then, they could be troubled by things they don’t understand however hard they try, feeling like no other person can understand their processes. "Three Mounds of Knowledge on a Philosopher's Head"
The power of trinity is seen in this symbol, as if to show that the real balance these Libras seek needs to go through all levels of existence – mental, emotional, and physical one. For as long as one of the realms isn’t satisfied and nurtured, they will easily fall out of their own philosophy, sticking to beliefs that aren’t really felt in their heart but rather imposed by the system, the collective, or someone they care for deeply. Before approaching any matter that preoccupies them, they should get some exercise and take care of their routine, so that their mind can clear the pathway towards the emotion that is to be deciphered. A healthy approach to their physiology brings ultimate knowledge and understanding and helps them see a much higher philosophy of life than that limited by the collective. 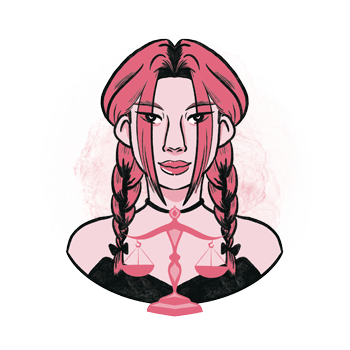 With Venus set as their destination, those born on October 23rd are to seek pleasures in life and relationships that show how balanced they actually are. They shouldn’t close their heart and crawl into their shell, no matter the bruises from the outer world, as they only speak of the imbalance that needs to be brought to order. This might be easier said and done, but when they incorporate all aspects of their existence as valuable, time moves them in the right direction and there is nothing truly standing in the way of balance and the love they wish to find in this lifetime. The entire focus of October 23rd seems to be on one's emotional world. Their need to strive for important and balanced bonds with a partner who fits their inner world will drive them and make them go a long way. Still, they could lose themselves in the process, putting the relationship itself above their own wellbeing, and turning them into victims of life. Honesty is the main prerequisite of any successful bond in their life, not so much the honesty of their partner as much as their honesty towards self. What they feel in their heart is true will simply prove to be – true, no matter what anyone else might think, feel or say. Their relationships easily fall out of balance if they try to help when their partner never asked for help in the first place. They easily get entangled in their own understanding of the world and could start preaching to those who have a task of their own, ending up feeling misunderstood or devalued by their own attempts to explain what they see. A sensitive touch is needed here in order for their relationships to last, and it will be easy to maintain it once they truly give value to their own emotional world and focus on creating more joy in their own life instead of focusing on anyone else's. 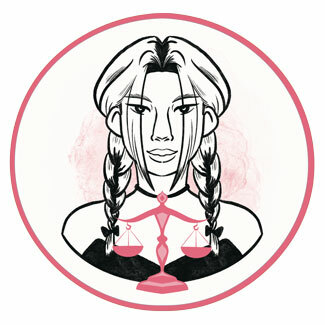 A Libra born on the 23rd of October excels in education, teaching, different kinds of expansion and work well with foreigners and in unstable systems that need to be approached bravely, without fear of what tomorrow will bring. They don’t exactly work well under pressure but seem to be protected by higher forces when they have a deadline to reach, and strive high in fields of foreign affairs, law and politics, especially when supported by social contacts from childhood and all those long-term bonds they make along the way. One of the best stones a Libra born on October 23rd may use is labradorite, a stone of magic. Awakening one's magical powers, it will give these individuals a shove into an adventure, bringing change to their life, flowing smoothly and without pressure. Protecting them from negativity of others, it opens space for their own beliefs to grow and expand, until they see that everything true is in fact beautiful. This crystal allows movement forwards and enhances the connection of one's ethereal and physical beings. You can always take someone born on October 23rd to a lecture in their specific field of interest. Still, it would be even better if you took them on a trip to a faraway land, getting two plane tickets or at least organizing a thematic party. With their desire to explore and depending on their physical state, they might enjoy some hiking, especially through exciting canyons, by waterfalls and somewhere they’ve never been before. Spark their inner child with activity instead of choosing things that are mainstream and common. Wide in perspectives, adaptable and on the search for adventures that will open their mind, they are information gatherers filled with love and devotion to those who nurture their talents and love them just as they are. Lost in their mind, they could have trouble connecting with their own emotional world, let alone the physical one. They need a lot of attention put in maintaining balance of body, soul and mind to not be difficult in imposing their thoughts on others and using them for their own benefit. In 1959 "Weird Al" Yankovic was born, an American singer, songwriter, comedian, satirist and author known for his humorous songs and parodies to contemporary music. His father believed that the key to success in life was doing for a living whatever makes you happy, and often reminded his son of this philosophy. In 1976 Ryan Reynolds was born, a Canadian American actor and producer, known for his role of Deadpool as well as those in The Proposal, and Safe House. In 2010 People magazine named him the Sexiest Man Alive. In 1986 Emilia Clarke was born, an English actress, recognized best for her role of Daenerys Targaryen of the HBO series Game of Thrones. Since she rose to prominence, she was voted the most desirable woman in the world and named the Sexiest Woman Alive by the Esquire magazine. 1850 – In Worcester, Massachusetts, the first National Women's Rights Convention starts. 1911 – The first use of an airplane in combat. 1955 – Founding of the Republic of Vietnam. 1991 – Cambodian - Vietnamese War is ended with the signing of the Paris Peace Accords. 2012 – The world's first teletext service ceases broadcast after 38 years, due to a digital switchover. 2015 – In Hurricane Patricia, the lowest sea-level pressure in the Western Hemisphere is measured.